He was influenced by Rogier van der Weyden's use of chromatic effect and landscape, and by Antonello da Messina's positioning of figures. 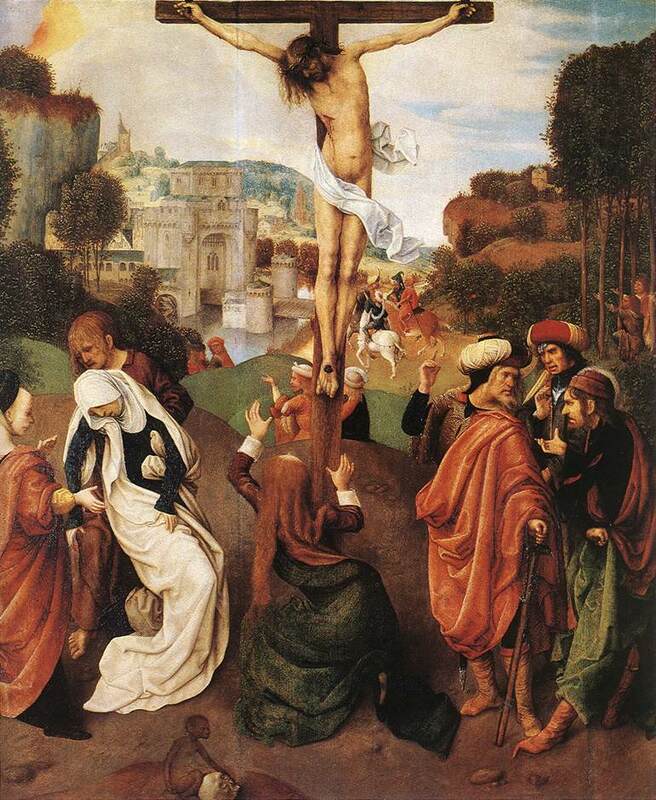 The effect of this combination is very dramatic, as can be seen in the torment of the already dead body of Christ, with the limp head, the fainting of the Virgin and the gestures of Mary Magdalen at the foot of the cross. In the foreground the presence of a monkey in the scene alludes to the temptations of the devil. Figures like the swooning Virgin who has collapsed upon Herself, and Mary Magdalen, have nothing rationally calculated about them; they serve rather to emphasize a dramatic intensity and almost savage, inhuman anguish, reflecting an anticonventional and certainly highly individual temperament.